Addressing context within the design of a professional development experience supports its relevance to classroom teachers. DEFINITION: What is Context in an arts integration PD experience? Context is the backstory of professional development experience. To flesh out context of a new situation, a teaching artist might ask: Who are the classroom teachers? Where is the school? What are the students like? What kinds of arts experiences have the teachers and students had? Context includes details about the classroom teachers’ interests, their students’ interests, the learning environment, prior experiences in content and/or art, and community assets. Context also encompasses information about what is expected of classroom teachers at the school, district, and national level. 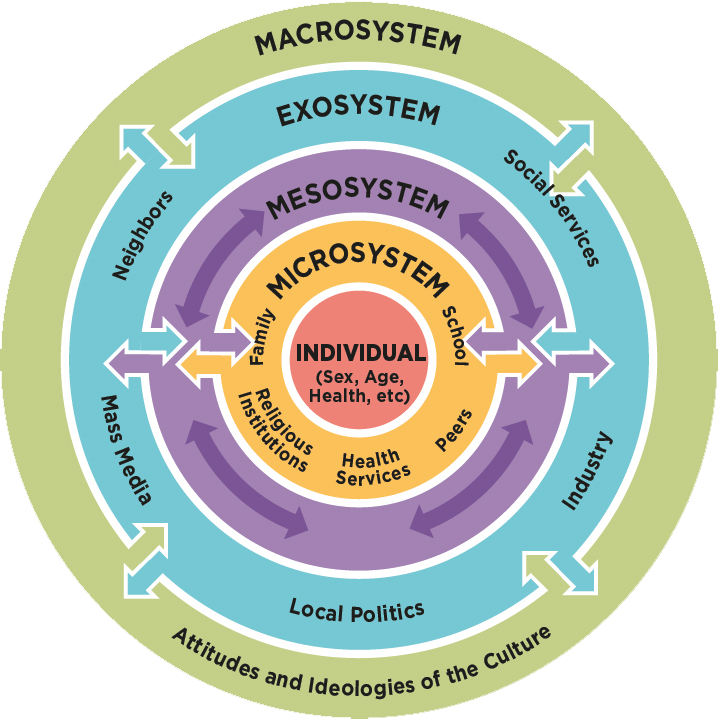 In short, context includes the relationships individuals have with the arts, their communities and broader society (Bronfenbrenner, 1979). PURPOSE: Why is Context important to an arts integration PD experience? Addressing context within the design of a professional development experience supports its relevance to classroom teachers who connect learning targets (see Learning Targets) with the things they care about. If teachers see arts integration as a viable way to accomplish one or more of the many tasks they need to accomplish in a school day, they may be more likely to use it. If teachers struggle in a particular area, or with a new initiative, arts integration strategies could potentially provide tools to address those struggles. Finally, contextual information assists the teaching artist in challenging classroom teachers appropriately, connecting them to their prior experiences, and activating their assets. What seems to be quite simple—moving of one’s body—involved multiple thinking processes in a short period of time. Participants had to activate prior knowledge, comprehension, listening skills, and physical skills all in the matter of minutes. Along with this insight came a paradigm shift from my view that these exercises would only complement Language Arts lessons were shifted to best complementing all areas of the curriculum. IN PRACTICE: Context be applied to an arts integration PD experience? When classroom teachers gather together from multiple grade levels, schools, and experience levels, it can be difficult to create a single, coherent vision of context. In these cases, it may be worthwhile to distribute a survey (see Resources) to gather information from individual teachers. When the professional development serves a group at a single grade level, or at a single school setting, contextual information is more readily available. Teaching artists gain some contextual information vicariously, simply by engaging in the world with classroom teachers and students in mind. Public schools publish a School Status & Improvement Report (SSIR) online annually. These reports include valuable demographic information such as ELL population, ethnic breakdown, Title I percentages, and performance on state mandated tests. Along with a school’s website, these reports can convey a school’s vision as well as any special curriculum frameworks they have adopted, such as Habits of Mind (Costa & Kallick, 2008). Click on an arts discipline to view example. In a one-hour workshop for 1st grade teachers, the teaching artist is preparing participants for an 8-week residency. The teaching artist knows from prior experience that first graders are beginning readers, and many still depend on illustrations for reading comprehension. Illustrations are helping them become fluent readers. For this reason, the teaching artist frames the PD experience on creative dance as a way to visualize text to support comprehension. In addition, the teaching artist researched the school’s demographic details by looking up its SSIR report online. She learned that about 30% of the students have limited proficiency in English. The teaching artist will focus the PD on creative dance for vocabulary and language development. In a long-term partnership with an elementary school, a teaching artist plans to conduct residencies with three different grade levels, along with two, 90-minute PD experiences with faculty. During a planning meeting, the principal and teachers suggest that the program builds on their school goal of helping students become more confident communicators, from working effectively with partners and peers, to regularly answering questions with a clearly stated reason and purpose. As a rural school with a large English Language Learner population, they feel these are two of the students’ greatest challenges. The principal and teachers express the hope that by having the classroom teachers develop their own skills of implementing drama strategies in the classroom, they can both engage the students in collaborative activities, and inspire students to actively participate in classroom discussions. The teaching artist designs the residency and PD experiences to work in tandem with each other. The teachers will see the strategies applied in a classroom setting as they learn the purpose and about how to facilitate them in the PD experiences. A teaching artist is preparing a three-hour professional development experience for classroom teachers based on creating original lyrics to songs. The workshop will be followed by a songwriting residency spread throughout the semester. He intends to guide the classroom teachers through the process so that they will be familiar with what will happen in their classrooms, with the eventual goal of having teachers use the strategy independently with their students. The professional development workshop is a means of introducing his work, providing training, and learning more about the school environment he will be working in. Building relationships with teachers is critical to success. He asks a number of questions with those purposes in mind. He discusses these questions with the coordinating staff during initial planning meetings and with teachers before the workshop begins. What has the school done for arts and music experiences in the past? What is their experience with teaching artists? What have they found helpful in successful residencies or artistic experiences in the past? What do teachers know about their students’ abilities and experience with music? The teaching artist doesn’t expect teachers to provide an accurate assessment of students’ musical abilities or knowledge, but knowing what teachers think is important. In particular, do students sing regularly in classrooms, or only in music class? If there is little tradition or occurrence of singing in class, lyric writing will be more difficult. The teaching artist will need to spend more time on how to sing successfully with children and less on the creative and arts integration aspects of the project. Teachers from multiple schools participating in a three-day course on the integration of science and art have been notified that the Department of Education is planning on implementing the Next Generation Science Standards (NGSS). After talking with multiple teachers and administrators about how NGSS is being rolled out, the teaching artist discovers that many schools have not yet begun to formally adopt these new standards. In anticipation of this coming transition, the teaching artist plans the PD experience to include a guided inquiry of the overall structure and format of the NGSS. Then, over the course of the workshop, participants explore how the visual arts can assist in the scientific process of creating models to visualize natural phenomena–one of the eight scientific practices emphasized in NGSS. Questions About the Students. What are the students like? What gets them excited? How often do the students engage in the arts? What are some of the learning challenges the students face? What kind of access do they have to the arts? What are their artistic assets? Questions About the Classroom Teachers. What are the classroom teachers like? What is the culture of the faculty like? What do they need? How do they think about the arts? How much experience or support have they had with arts integration? What other arts resources are available at the school? What other arts or non-arts PD experiences have classroom teachers been involved in? Questions About the School. 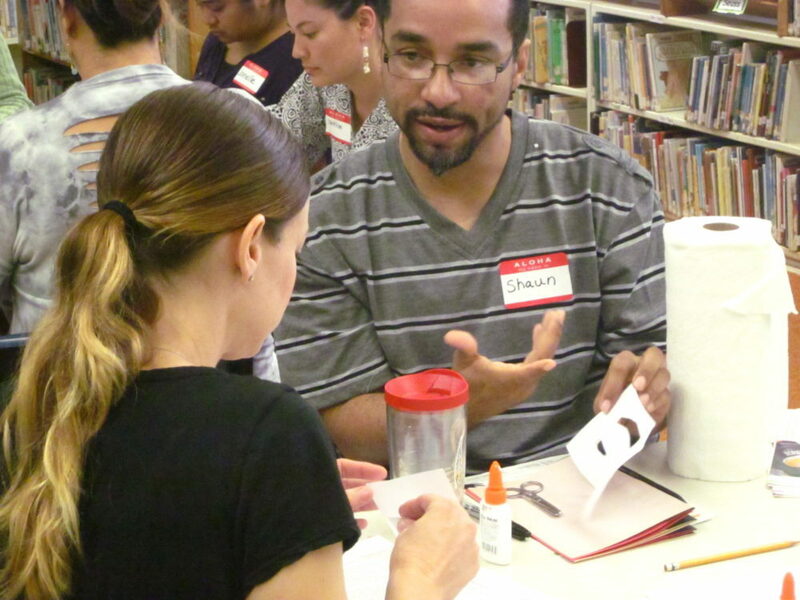 What other arts or non-arts PD experiences have classroom teachers been involved in? What are the school’s goals this year? What kinds of curriculum innovations are happening at the school level? How does administration think about the arts? What other arts resources are available at the school? Who are the arts specialists at the school? Questions About the Community. What is going on in the broader community? How is that influencing the students at school? What does the community want from the school? What arts resources are available in the community? Finally, teaching artists who stay informed about district initiatives are equipped to incorporate the newest language, frameworks, and policies into their facilitation to build classroom teacher capacity. For example, when Common Core State Standards (CCSS) brought new emphasis on evidence, teaching artists began to build the language of evidence into interpretations of artwork. Recently, Every Student Succeeds Act (ESSA) includes “developing the whole child” as one of its goals, and a PD experience is the perfect place for a classroom teacher to learn how the arts support this goal. A teaching artist makes these connections explicit to support the everyday practice of classroom teachers.